cinemaonline.sg: Lin Min-Chen brushes up on her Cantonese for "A Journey of Happiness"
Lin Min-Chen brushes up on her Cantonese for "A Journey of Happiness"
(L-R) Ah Niu, Lin Min-Chen, Alex Lam and Jerry Lamb star in "A Journey of Happiness". 29 Jan – Take "A Journey of Happiness" with the Siew family this Chinese New Year! 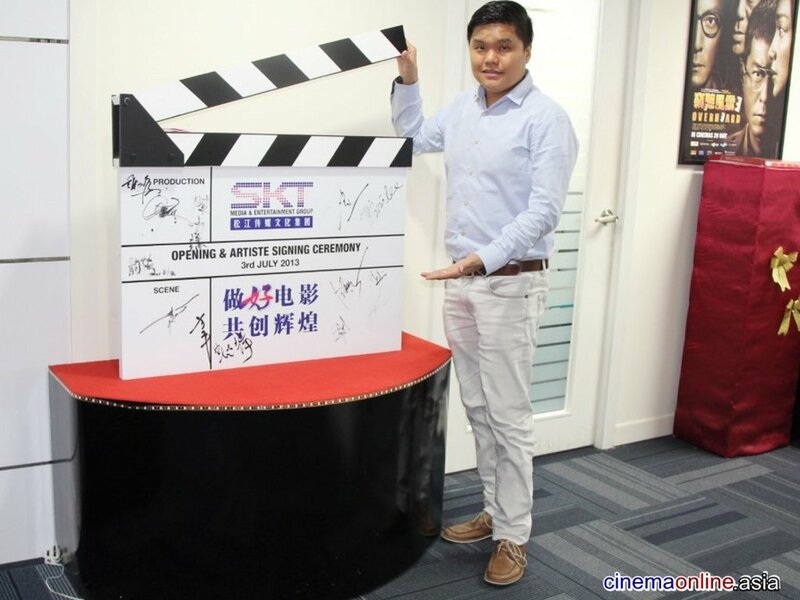 Director JY Teng, Hong Kong cast Jerry Lamb and Alex Lam, and Malaysian cast Ah Niu and Lin Min-Chen met with the media yesterday at mmCineplexes eCurve to promote the movie in Malaysia. This being a movie that follows a Hong Kong family's trip to Malaysia, it, of course, utilises Cantonese as the vernacular language. While that's no hard task for the Hong Kong cast members, who fluently speak the language, it's a whole different story for Malaysian actress Lin Min-Chen. Lin joked that it was especially tough for her since she practiced hard to get her pronunciation right, only to be told by the director that he wanted her character to speak in broken Cantonese. In fact, the highlight of her dialogues is her answer to the question "Where are you from?" – it's really a teachable moment in watching your pronunciation as her garbled answer came out sounding a lot like a shockingly indecent phrase instead. However, despite having to master (or not master?) a different language, the actress was happy that she was able to take part in "A Journey of Happiness" since this was her first time acting in a Malaysian movie. "A Journey of Happiness" cast and director during yesterday's press conference. Despite hailing from Penang, the Taiwan-based actress has been doing works outside of the country. Hence the reason why the moment she heard this was a Malaysian production that is set to be shot locally, she was determined to act in it, even though at the time she accepted the offer, she was busy filming another project in Taiwan. "A Journey of Happiness", produced and edited by Ryon Lee ("The Journey", "Show Me Your Love"), follows the Siew family who goes on vacation in Cameron Highlands, as arranged by Siew Shen (Joyce Cheng) to cheer up their father Siew Fatt (Lo Hoi-Pang). However, things turn topsy-turvy thanks to her brothers Siew Beng (Jerry Lamb) and Siew Lup (Alex Lam). It is only made worse when cunning tour guide Cui Fong (Ah Niu) and backpacker Pumpkin BB (Lin Min-Chen) are thrown into the mix. Watch the fun when "A Journey of Happiness" opens in cinemas this 31 January in Singapore and on Chinese New Year, 5 February, in Malaysia. 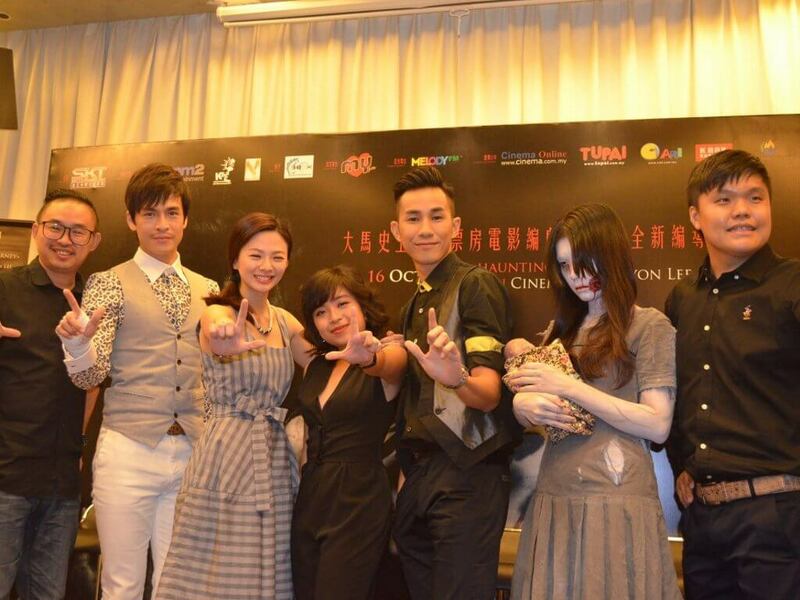 Lin Min Chen makes her debut in Hong Kong's new vampire flick "Vampire Cleanup Department"